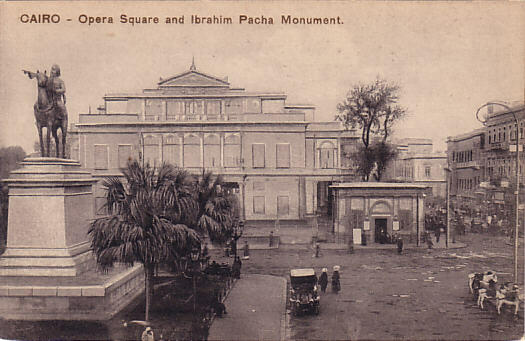 Built 1869 by Avoscani and Rossi for the Vice King, Ismail Pacha, replacing an older theatre building. Opened 1 November 1869 with Verdi's "Rigoletto". 850 seats. Completely destroyed by a fire on 28 Oct 1971. 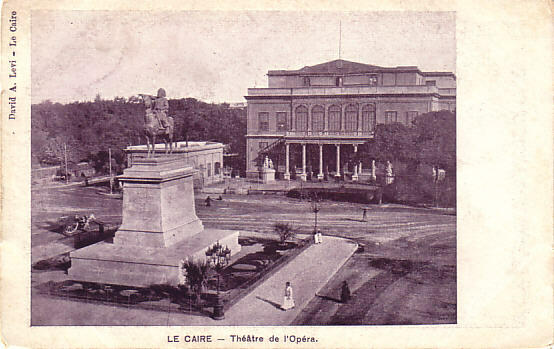 Front Text: "Le Caire - Théâtre de l'Opéra"
Front Text: "Cairo - Opera Square and Ibrahim Pacha Monument"